When I was young(er), I watched some MTV here and there…back when it was mostly a music video channel. Soon after the network launched, they created MTV News. 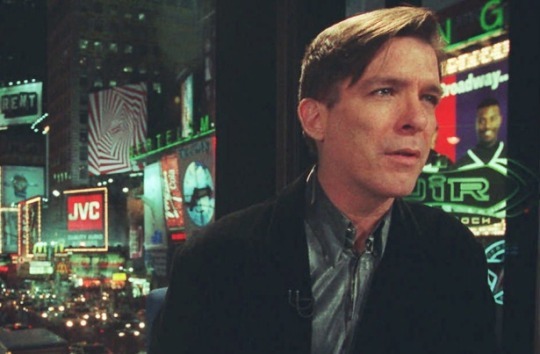 Kurt Loder was the face of MTV News and almost single-handedly (I realize in retrospect) led me to get into journalism. Yup, not Walter Cronkite or Edward R. Murrow. And I’m not embarrassed to admit it. I was actually a staunch defender of infotainment. I wrote papers on it in graduate school! Not because I believed MTV News was the equivalent of Walter Cronkite but because they had figured out how to get news to an audience that wasn’t consuming news. And it wasn’t all celebrity fluff. And, most importantly for this story, all of it, even the celebrity fluff, was delivered in a serious tone and with mostly fact-based reporting. Kurt Loder had a Cronkite-esque demeanor. I respected that. Infotainment was the order of the day. Television news was going downhill fast, “if it bleeds it leads” really was taken literally. No one was doing good long form journalism on TV, it seemed. If you wanted real news, you had to look to the NY Times, et al. But MTV News was taking itself seriously. Long story short, I got a Masters in Journalism, had one job in the profession for nine months, then birthed my business (pun intended.) Yes, I abandoned my journalism calling for marketing – typical! But I always considered myself a serious marketer – working with “knowledge-driven organizations”, focusing on the more interesting and impactful issues of the day by working with NGOs and consulting firms and other “serious” clients creating interesting thought leadership. And working with data. But data, like the news, can be inaccessible to some audiences. Its density is best penetrated through visualization. Visualization is more than infotainment, to be sure, but like MTV News, it makes something complex and opaque approachable and understandable. Yes, Kurt Loder is one of the most clear influences leading me (after many detours and adventures) to my current profession in data visualization. Who’da thunk it?